Rollo gives you a lot of flexibility when it comes to the size of your label. 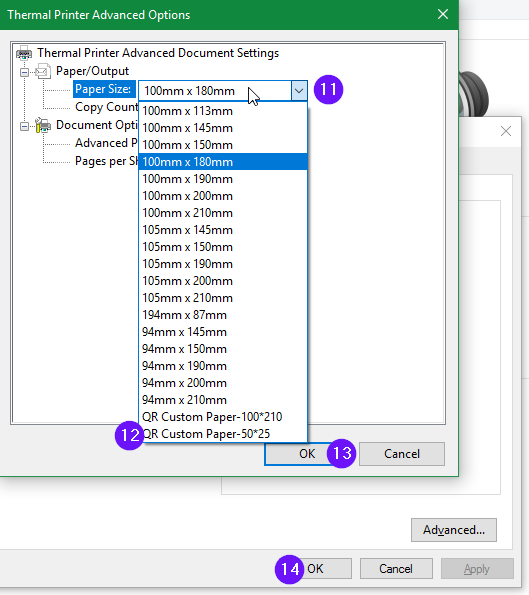 When you load in a new direct thermal label, there are two actions that need to take place: 1) Run the automatic label identification on the printer 2) Set proper label settings on your computer. Open Rollo's cover, insert the new label, set the adjustment slides and close the lid. 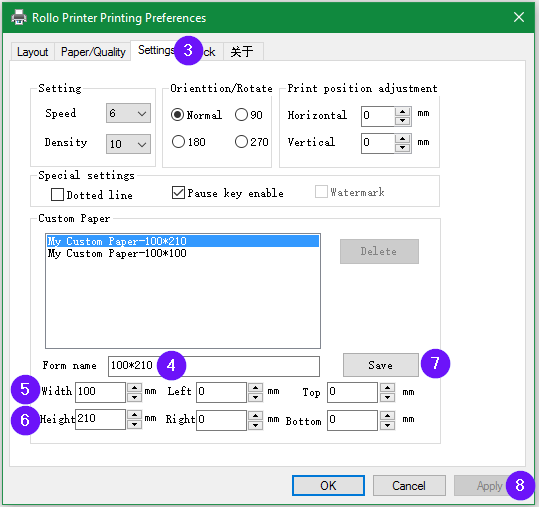 Press and hold the top circle button on the Rollo printer until it beeps one time. Rollo will now analyze your new label. 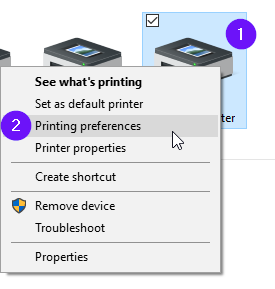 In your print prompt menu, click on "Manage Custom Sizes" next to Paper Size. 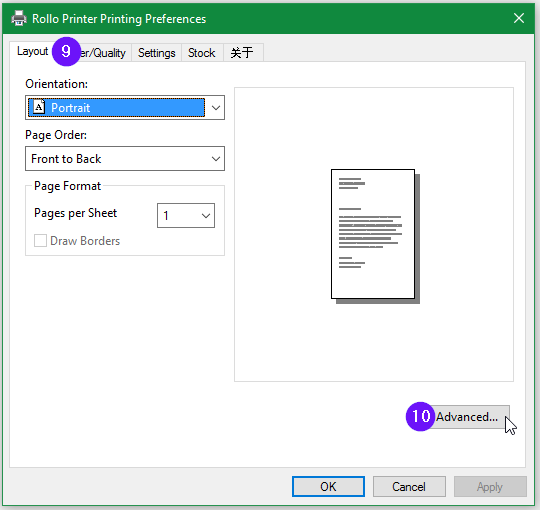 Enter your paper size and margins on the next window and click OK. You can rename your new label size by double clicking on the highlighted item on the left.